Organic latex is an excellent way to reduce exposure to the toxins so prevalent in consumer products today as it does not require harmful chemicals or petroleum products to create. Our organic mattresses are constructed with cotton, organic latex, coir fibre and Tencel – all renewable, biodegradable resources. Instead of toxic fire retardants we use a thin layer of natural graphite which acts as a natural fire barrier. Plus, to keep the organic nature of our mattresses we do not glue their layers to avoid the use of adhesive. It also gives you the opportunity to change the combination of the layers to make the mattress firmer or softer. These organic materials are grown, processed, and manufactured without chemicals so you can rest peacefully. Our organic mattresses do not contain any iron or metal springs, avoiding their harmful medical effects such as electromagnetic smog. Organic latex is the most organic and durable mattress material in existence today, outlasting all other mattress types by several years. This advantage is twofold – it reduces consumers’ costs over time and keeps waste out of landfills. An organic latex mattress also proves healthiest, with natural resistance to dust mites, moulds, and bacteria; an excellent choice for those who suffer from allergies or asthma. As they are imbedded with thousands of tiny air cells the organic latex mattresses are breathable, they have perfect temperature control and moisture management qualities compared to any other mattresses. Hevea Brasiliensis, the tree produces natural latex, is among the most ecological trees in the world. A single Hevea tree absorbs about 1.8 tons of CO2 in its life time, similar to a rainforest tree. Globally, all organic latex plantations together offset 90 million tons of CO2 per year. A queen size mattress requires 12 acres of rubber plantations to be tapped. This number of trees absorbs a huge 143 tonnes of CO2 from the air every year and provide employment for 8 rubber tappers. Derived from the rubber tree, organic latex is the most naturally durable cushioning material available. 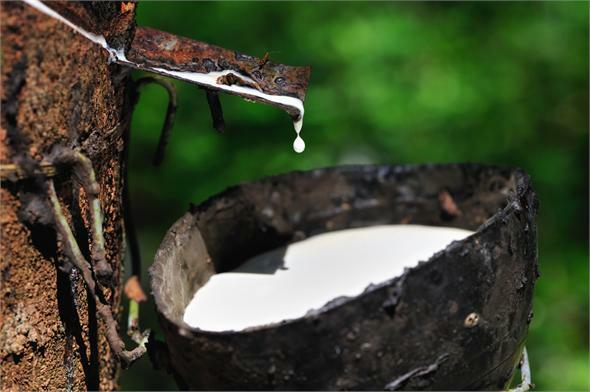 It is made from a milky substance that drips from the rubber tree when the bark is slashed. The process does no harm to the tree and latex is an entirely sustainable product. During the production process which converts the latex from a liquid, the resin is whipped and baked. The finished product is naturally biodegradable. 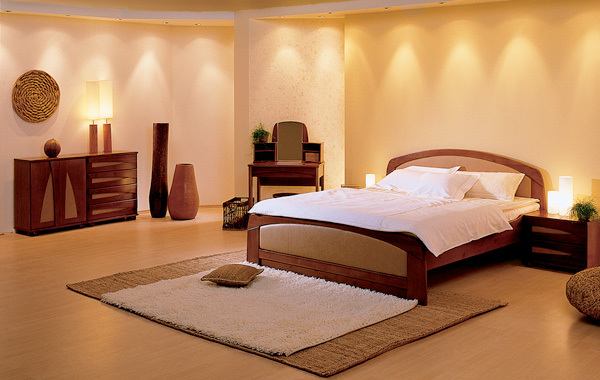 The main ingredient in the manufacture of an organic latex mattress is simply natural rubber, at 90 to 95%. Some other ingredients are necessary for the vulcanisation, foaming and curing process, but these are largely ‘cooked out’ leaving a final product which is 99% natural rubber. To ensure that the product is as clean as possible it is washed a minimum of three times before the manufacturing process is complete. 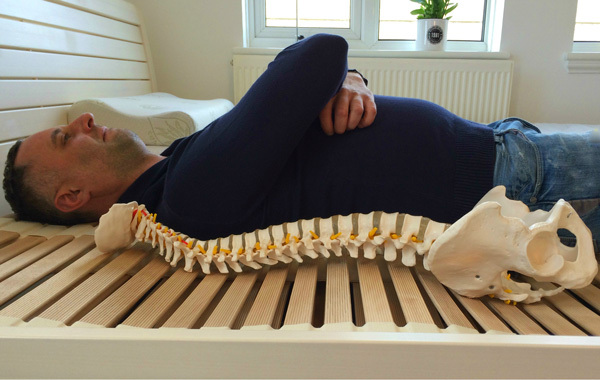 Chiropractors and back doctors recommend organic latex mattresses due to their superior orthopaedic support. It dynamically conforms to the contour of your spine to give superior back support and outstanding pressure relief. Relieving pressure reduces the tossing and turning that interrupts sleep. 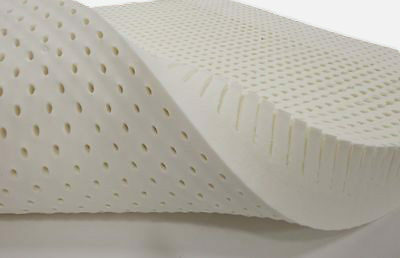 Organic latex offers a “springier” feel compared to memory foam, which can make moving around in bed easier and can eliminate 85% of the motion transfer from a restless partner. Please note that there is a huge difference between organic and natural latex. Natural latex is not organic. Natural latex is 30% organic latex that has been blended with 70% synthetic latex but by the law it can be called natural – same way as meat containing only couple of percentage of beef can be called beef. Natural latex is a cheaper mixture containing clays, glues and other materials causing the mattress to become toxic, break down faster and become uncomfortable; giving truly organic latex a bad reputation. It is a little known fact that about 80% of latex mattresses is a blend of synthetic latex and organic latex. Unlike our organic latex, synthetic latex is made from petroleum products and does NOT have the antibacterial, antifungal and hypoallergenic qualities that our organic latex provides. Our mattresses are made from 100% organic latex without using any synthetic latex. The other ingredient of our mattresses is the natural coconut (coir) fibre. Coir is a product of the coconut tree, and it is sometimes known as coco fibre. The substance is extracted from the hairy husk of coconuts. Coir fibre is very tough, elastic and strong, and it hardly deteriorates at all over time. The fibre provides excellent temperature management and does not retain moisture. Therefore the circulation of air between the coir fibres is increased. As a result, the foam also remains dry, fluffy and comes back to original shape after being compressed. R. Douglas Fields PhD stated “As we sleep on our coil-spring mattresses, we are in effect sleeping on an antenna that amplifies the intensity of the broadcast FM/TV radiation. Asleep on these antennas, our bodies are exposed to the amplified electromagnetic radiation for a third of our life spans. Please click here to Read More about why you should avoid sleeping on memory-foams and spring mattresses. We can make our mattresses in any size.